Government has decided to introduce smart electricity meters in Pakistan. Prepaid cards will be used for billing just like mobile phone prepaid cards. A more interesting feature is the ability to top-up your electricity bill. Prepaid cards will be available and users will load them as needed so no balance means no electricity. Users will load electricity cards according to their electricity needs and electric supply will shut off as soon as the card is spent. According to the details, the Secretary for water and electricity Younas Dagha informed that the government plans to start implementing this system of smart meters from March. The smart meter system will be completed within 2-3 years. Dagha also stated that LNG electricity plants will start producing within 2-3 years. This will produce electricity which is Rs 8.80 per unit cheaper. The basic purpose of this plan is to control and minimize electricity theft while it will also lessen operational costs of WAPDA, PEPCO and other electric supply companies. Currently a huge manpower is deployed only for meter reading and bill distribution which may be used elsewhere as billing will be done automatically. Smart meters will allow consumers to manage their electric consumption more efficiently. It will also increase privacy of consumers and reduce operational costs as no need of on-site visit for meter reading or bill dispatching. 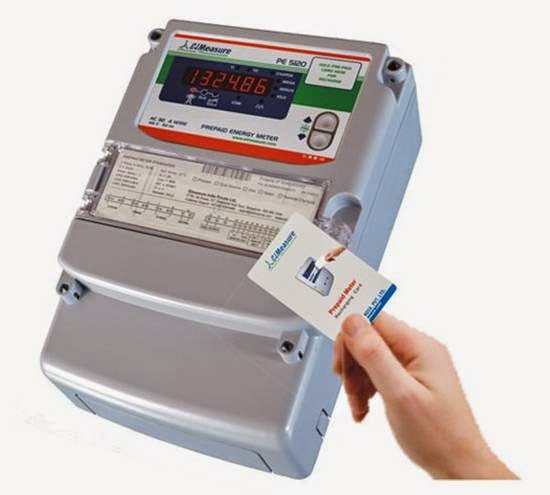 Presently, smart meters are successfully being operated in USA, UK, Italy, Australia, Netherlands, France and Canada. Mr. Dagha Jasa Log Aasa kabhi bhi nahi karan ga kunka in ka ghar k chullah he band ho jayan ga.
Gareeb awam aak pankha nahi chala sakti or ameer din raat a.c ma soota ha or is ka bill bhi gareeb he data ha.